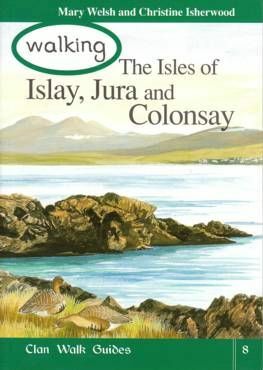 Islay, Jura & Colonsay are set in the sea like stepping stones between Scotland & Ireland. They are the southernmost islands of the Inner Hebrides. All three have miles of bleak moorland - and gardens where bamboo and palm trees flourish. Sheltered sea lochs and quiet sandy bays contrast with furious seas off rugged, cave-pitted cliffs. These islands provide excellent walking country for resilient walkers who can cope with few footpaths and often wet pastures. All have more than their fair share of wonderful views. This is serious walking country where walking boots, good waterproofs and maps are essential. 40 routes, from 1 hour strolls to all day hikes, described in detail.